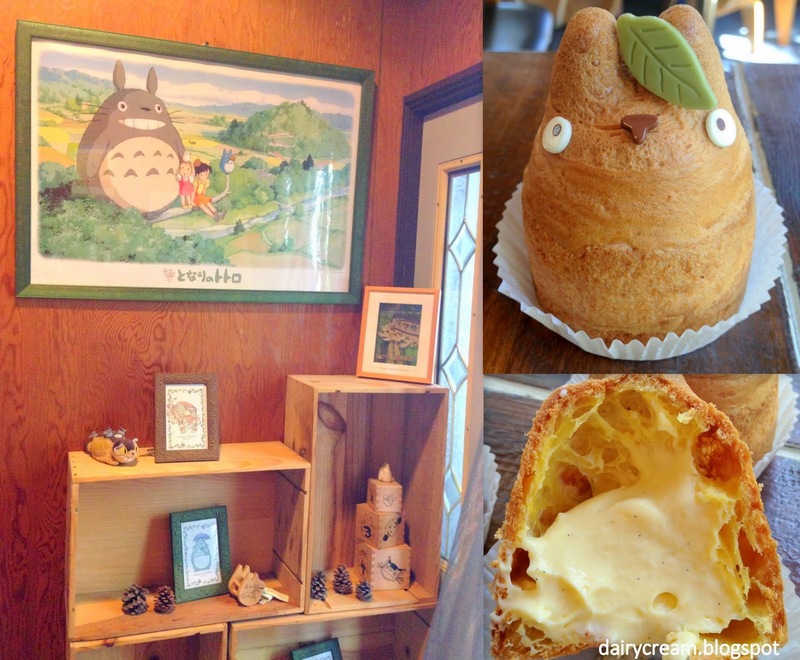 白髭のシュークリーム工房 is the only official Ghibli cafe that retails Totoro Choux cream puffs. The location used to be a hassle for me but now it only takes 12 minutes by Odakyu Line from Shinjuku to reach Setagaya Daita. It's very hidden in the residential area but not difficult to access from the station if you follow the map closely. There is an average of four flavours everyday and I am glad they tasted a lot better than most character food like Pokémon. Eat-in is available on 2nd floor but it is compulsory to order a drink. Alternatively, it can be ordered as a set with the lunch or dinner meals. Take-away on 1st floor. I think I have watched every single cooking show by celebrity chef Jamie Oliver (counting in the number of reruns on TLC) but never got to try his food because I had flew off to the Land of Rising Sun when he just opened the restaurant at Vivocity. Linguine Vongole ($27.50++) was the special pasta of the day (not on the menu). Tossed with Manila clams, sliced chilli's, tomatoes, parsley and anchovies, this homemade pasta dish was very light on flavour and the sauce was sweet. So light was the pasta that both of us decided to ask for some Parmesan Cheese, which descended like fluffy snow flakes. Oh boy, the cheese made a whole lot of difference to the dish. The Baked Salmon ($23++) was well seasoned and not overly cooked, though the whipped ricotta cheese mixed with horseradish, lemon and mint, which I have mistaken to be risotto. Now that I've realized it was actually cheese, it would be great if they could spam more of such good stuff on the plate. The desserts were not those gorgeously plated sweets but as casual as the likes of the British chef. My brownie-loving partner who has a penchant for rich dark chocolate, couldn't stop showering her praises for the Epic brownie($11.50) after taking a bite. The seductive fudgy dark chocolate is lifted by the hints of boozyness in the amaretto ice cream and accented by crunchy popcorns, making it a rich yet none too cloying treat. Jamie's tiramisu ($11.50) has a clear division of labour between the coffee sponge and sticky mascarpone. It is definitely very robust in the java and little citrusy with the presence of orange shavings, though the overall texture was dry. The savoury dishes did not spark excitement as the desserts did. I was looking for set lunches since we came at 12 noon, but the board at the entrance wrote 3pm-5pm. Strangely, we noted that it became 12pm-5pm as we left the place. Perhaps our eyes were playing tricks on us. Funabashiya (not the tempura shop in Shinjuku) is an classic Edo confectionary that is famous for its signature Kuzu-mochi. 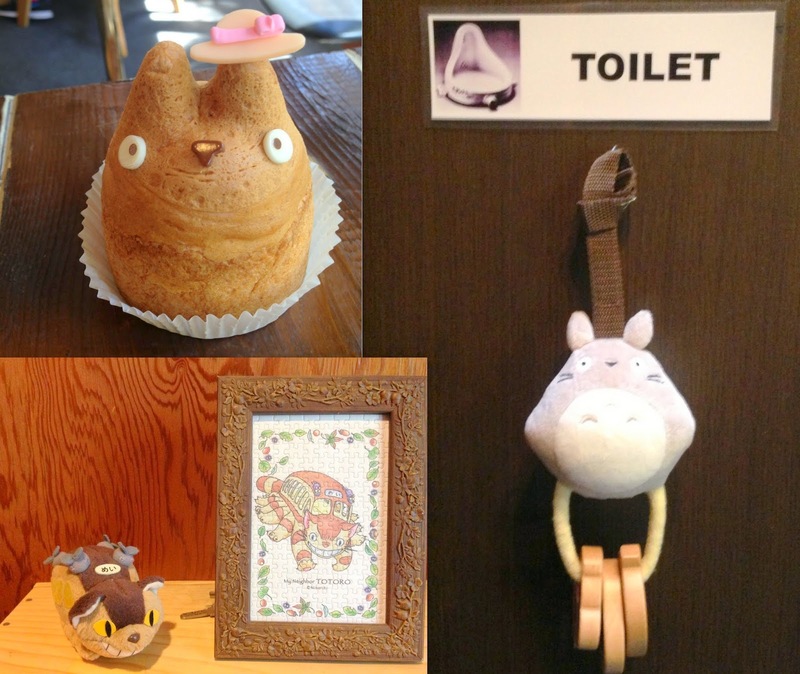 Instead of hopping all the way to the main shop in Kameido, it has opened a chic shop and cafe called "Koyomi Funabashiya" in Hiroo in 2005 to mark its 200th anniversary. Though you can get its basic anmitsu d-I-y sets and Kuzu-mochi is nearly every department stores, this cafe serves a wider variety of traditional desserts and even some simple, healthy lunch sets. The best seller at the cafe is the Ichigo Milk Kakigori (shaved ice) ¥880. It comes as pure as an iceberg, but transforms instantly into a gorgeous red-white snow mountain after you empty the strawberry compote and condensed milk. You can order the kuzu-mochi as a set on its own but why not maximize the variety by going for the dessert platter? It contains the Kuzu-mochi, matcha chiffon cake, Kuzu custard pudding and vanilla ice cream on oat bran and azuki beans. Despite having the Kuzu-mochi many times, I have yet developed a profound love for it. Served with black sugar syrup and kinako powder, it has a texture of a hardened Chwee Kueh. I prefer the Kuzu-mochi from 梅園. However, it would be a pity to miss the Kuzu pudding, an ethereally rich and creamy custard that does not quiver as easily as most puddings. Speaking of the two available lunch options, we had the daily Gozen (日替わりお惣菜御膳) ¥1135 instead of the nyumen (somen in hot soup) . Besides the main dish consists of potato salad and Karaage Tori (fried chicken), the set includes light cold somen and four mini desserts (guava pudding, Kuzu-mochi, anmitsu and Kuri-Satsumaimo Castella). The delicious savoury food was a great surprise since it is known to specialise in Wagashi. Come during weekend and chances of joining a queue is pretty high. Nevertheless, what's better way to escape from the summer than hide in the tiny spaces on the 2nd floor of this shop and enjoy Wagashi with cool English jazz music playing in the background? Muthu Curry was the place that the Folks insisted on visiting when I said I wanted to have some delicious curry fish head. It's been more than a decade since I last visited Muthu and I had long forgotten the taste. Indeed, the signature South Indian style Curry Fish head ($22/$27/$32) that has secured numerous accolades differed from the Chinese fish head curry in many ways. The colour was intense red instead of yellowish. According to the Folks, this kind of curry uses less coconut milk, so it was less creamy but the gravy is still rich because of the heavy spices rather than curry powder. There were no sight of brinjals, cabbage or tomatoes but ladyfingers and the piquant pineapple slices. Those who are adverse to spicy food will be able to handle this pot easily as the curry is NOT spicy at all. No sweat. We all love the gravy and could ladle it non-stop onto the fragrant Dum Bryani ($4/head) or white rice ($3/head), though the fish was not too fresh that day. If the menu looks Greek to those who seldom have Indian food, there is also display counter where one can pick whatever food that looks tantalizing. The Mysore mutton ($11) was too tough but the Tandoori Chicken (below), chicken marinated in yoghurt, was smoky and flavorful. As a big fan of Indian Vegetarian food, I love all sorts of creamy paneers and Daals. But I decided to ditch the gravy laden veggies and try something new. The Vegetable Sheesh Kebab $9 was a mistake because it turned out to be dry rolls of mixed vegetable potato pattie, though the accompanying green sauce was zingy enough to perk the tastebuds. But the Gobi Manchurian ($9) turned out to be one of my favourite dish that night. Didn't know that it was actually an Indian Chinese fusion dish. Perhaps the Chinese aspect comes from the cooking method--coating the cauliflowers in batter and deep fry just like Sweet and Sour Fish. They are later sauteed in soy and chilli sauce. Not spicy but super sour. As usual, free flow pappadum, free flow of side vegetables (yellow cabbage was ok but the sautéed long beans were too salty). Together with the fragrant non-greasy Bryani rice, it was a great satisfying dinner. Even Ah Ma nods in agreement. A Japanese food connoisseur who had recommended me the great horsemeat and uni pasta at Fregoli, has tipped me off to this new hot ice cream Parlour in Ebisu. It's not just another ice cream shop in the neighborhood. 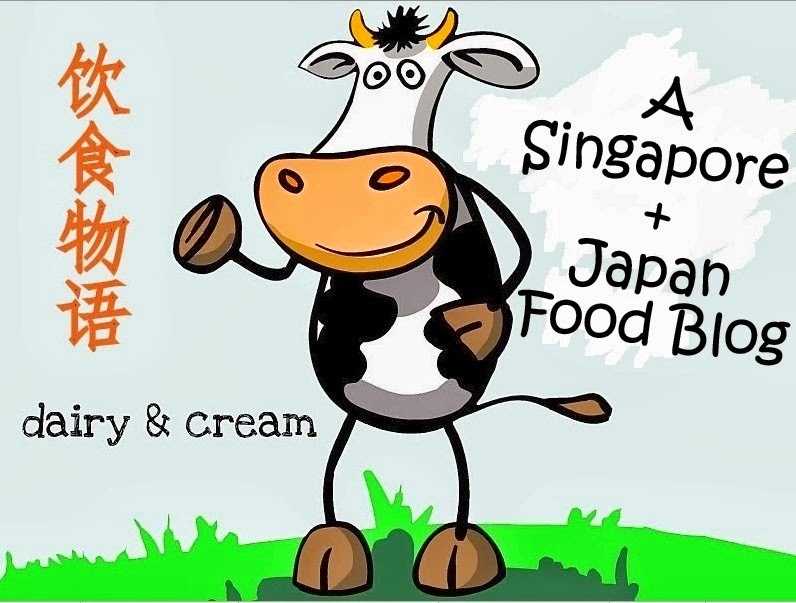 Karinto, Shiso Cream Cheese, Houjicha, Kurogoma, Sakura komame salty Sakura pickles , Kinako Kuromitsu, Kabocha , Melon Kakigori, Kokutou Houjicha...These are all Japanese flavours that you (can)not find elsewhere. One can choose 3 flavours for the smallest size of ¥390, which is very a good way to draw customers in. It's so good I went back for more:) Matcha, Kabocha and Tomato Sherbet. And the best thing is that every order comes with free konbu flakes. Those sour and salty pickles helped to treat any post-ice cream syndrome such as "jelat-ness" or "too much sweet stuff", which I don't face fortunately. Haha...but it's a definitely a welcome move. Under the scorching heat of 36 degrees Celsius, the Bear Kakigori is a great remedy as it is cute and delicious, chasing away all the irritating mood caused by the weather. There are four varieties and this is the simplest and most popular one-- 白蜜. This place is really popular so don't be surprise to stand/sit elbow to elbow with other customers if you are planning to eat inside the cramp, stuffy area. Even if you sweat like mad while eating ice cream, it's all worth it. Very worth it. Welcome to the world of honey bee and maple forest. Unlike other patisseries that dish out an assortment of petit gateux, Patisserie QBG specialises in cakes and pastries that contain Maple and Honey. For instance, this Nougat Alberta is a twist on the classic French sweet Nougat Montelimar, essentially a long, soft and chewy block of nougat (egg whites beaten with syrup and added with lots of dry fruits and nuts later). Australia and Italy aren't the only places for nougats as Montelimar located in the Rhone Alps region of France is also famous for nougats and hence the name Nougat Montelimar. Back to this gateau, it is an amazing feat for the chef to sandwich the nougat mousse filled with honey custard on between two thin but moist sponge rounds. It's admittedly very sweet but doesn't matter since it's made with natural and premium honey retailed by the parent company. Patisserie Q.B.G is part of the 83-year old Q.B.G aka Queen Bee Garden company that is renowned for their honey and maple products. Thus, besides honey, maple can be found in this Cappucino, that is similar to the real java in terms of the design. Below the whipped cream is coffee mousse, mascarpone mousse and maple crumbles. This chocolate shell, despite being an Easter-egg copycat, blew my mind with the artisan craftsmanship and yes, the nutty sweet nibblings at the base. The Chef behind Patisserie QBG is Gunma-born Takahiro Sato. He swept the prestigious Andre Lecomte Cup for the Paris Brest Creation in 2012. I knew I should be firm and stick to the honey and maple products but I didn't want to turn into Winnie the Pooh. So I had the Pistachio Cherry Groittine. Yeah, some might find this rather predictable. What else is there except pistachio cream, liquor soaked cherries, chocolate mousse and sponge? Yet this redefined the conventions by tweaking the texture of the chocolate base and the pistachio cream. To put it more precisely, I would add butter to the list since butter is a key ingredient. So Maple, Honey and Butter......a trio of ingredients which coexist in the same sphere just like coffee, chocolate and caramel. If a patissier can fully understand these three ingredients well and churn them into pastries, the cakes will easily win the hearts of pastry aficionados. Yukinosita 雪ノ下 : Really "HOT" Hotcakes!